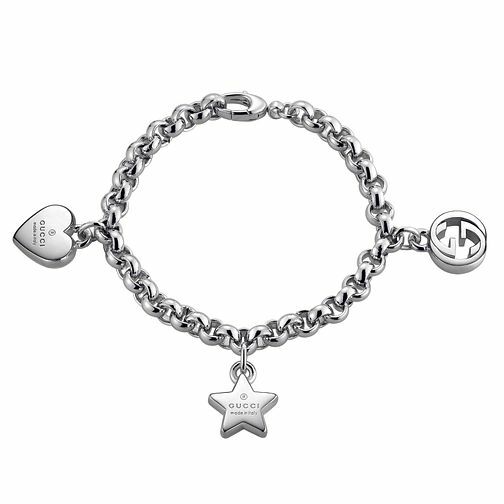 Feminine yet bold, this sterling silver 3 charm bracelet features a Gucci engraved heart motif, Gucci engraved star motif and interlocking 'G' motif. Perfect for adding contemporary chic to your style. Gucci Trademark sterling silver 3 charm bracelet is rated 5.0 out of 5 by 1.